After innumerable false starts, it finally appears that President Obama will begin to focus his energy on the country’s unemployment problems. Unfortunately, the initial signs suggest that his pivot won’t nearly be strong enough. According to news reports, his key advisors are telling him to stick to small-bore ideas—like free trade deals and patent protections for inventors—that may not have much economic impact, but seem able to survive passage in a House of Representatives dominated by Republicans. The advisors are arguing that Keynesianism—the notion that the government should spend money at times of economic crisis—simply can’t be sold to the American people. Obama should ignore these advisors. While public opinion polls consistently show that Americans are skeptical of Keynesian ideas, they can still be won over on the merits of many specific Keynesian policies. It’s by exploiting this seeming contradiction that Obama can win over the public and take concrete steps to boost the economy. From an economic perspective, there is very little chance the economy will right itself without significant intervention—intervention that is large scale and fast acting as recently noted by Jonathan Cohn. The Obama administration won’t get much get credit from proposing modest policies, even if they gain the assent of the House, because those policies aren’t apt to make any actual difference. The White House would be better off offering bold ideas to solve the jobs crisis—ideas like extending unemployment insurance; extending and possibly increasing the payroll tax holiday; providing a tax credit for hiring new workers; new infrastructure spending, especially on fixing schools; and direct aid to state and local governments—even if they risk offending John Boehner. Indeed, in the event that the economy remains stalled, Obama’s best and perhaps only chance to gain reelection is to make a strong argument that Republicans, by failing to act on his proposals, are responsible for the state of the economy. As political scientist Lynn Vavreck discussed in her influential study of the economy and Presidential campaigns, when the economy is bad, the incumbent candidate’s job is to create uncertainty about who is responsible for the situation. Obama cannot do that by passing small bore steps that don’t lead to real economic improvement. Voters will conclude that his programs failed to work, setting up an easy narrative for his Republican challenger to latch on to. Obama’s political advisors are no doubt arguing that the American public will be hostile to any program that involves further government spending—that a strong jobs proposal would be tainted by its association with Keynesian ideas. Such policies, so the theory goes, will just annoy the public, which will further tank Obama’s already fading chances of retaining the presidency. This analysis is deeply mistaken. 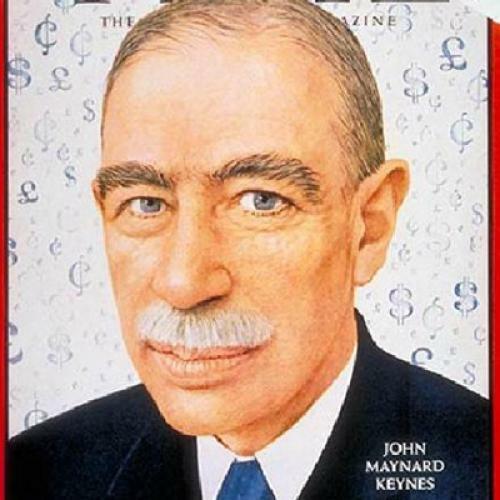 It is true that voters would never identify themselves as Keynesians. If you asked them whether they would support an increase in government spending to make up the current shortfall in aggregate demand, they’d tell you to get lost (to the extent they could even understood you at all). But voters don’t need to be Keynesians or otherwise sympathetic to the general idea of more government spending to support Keynesian policies. When asked about specific government programs and specific social goals, the American public generally wants the government to do more, spend more, and redistribute more. But at the same time, citizens are considerably more likely to identify themselves as conservatives than as liberals. The American public, in other words, generally wants more government-based solutions to social problems, but overwhelmingly identifies with the ideological label that rejects those solutions. Even in the middle of the Great Depression (1935), 70 percent of the American public told Gallup that now was the time to balance the budget and start reducing the national debt. But that distinctly non-Keynesian sentiment coexisted with sky high support for a raft of New Deal spending programs like Social Security—in fact, three quarters of the public wanted to see that program expanded. Today is no different. Even as voters express skepticism that government spending can create jobs and endorse anti-Keynesian measures like a balanced budget amendment, they are quite capable of supporting each of the measures in a strong jobs program because they do want to see specific programs meet specific goals: Putting money in the pockets of consumers and the unemployed; helping businesses hiring workers; fixing roads and schools; and preserving jobs for teachers, police and other local government workers. This is how Obama can escape the trap he has found himself in. Instead of arguing with the Republicans over whether spending can create jobs—an argument where he doesn't have public sympathies on his side—he should change the conversation to specific measures that will put money in people's pockets and put them back to work. Obama has spent the last few months relying on conservative tropes. It’s long past time—for the sake of the economy, and his re-election—that he put voters back in touch with their inner liberal.